·Auto Collect: Automatically collect resources as you enter the game. 1. Make sure you have installed Clash of Kings first. Open the App 'Xmodgames' from HomeScreen. 2. 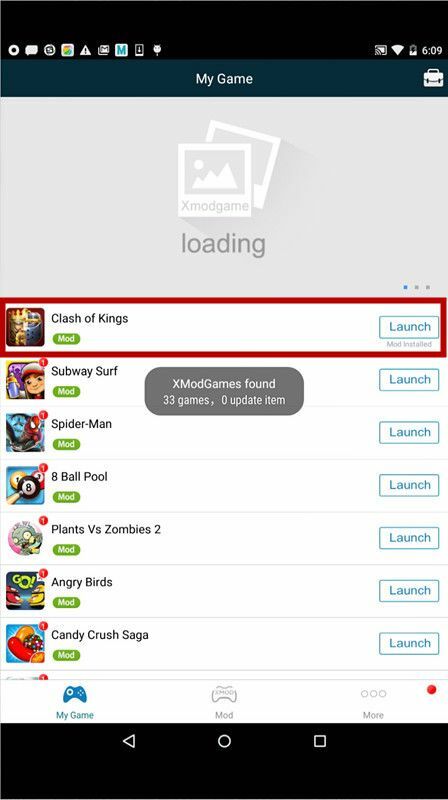 Click on Clash of Kings in the Game or Mod Tab. 3. Install the mod and click on “Launch” to start the game. 5.【Auto Collect】 is to automatically collect the resources of your castle every time you enter the game, saving your time from tapping on each one by one. 6.【Skip FREE Building】 helps you automatically fast forward the last 5 minutes in building once the “FREE” icon of instant building appears.